Prevention is the best way to avoid dental emergencies. If you brush your teeth at least twice a day, floss daily, and visit a dentist regularly twice a year, your chances of having a dental emergency are greatly reduced. Dental emergencies like injury to teeth or gums, dental abscess, and toothaches can be potentially serious and should not be ignored. Avulsion (Knocked-Out Tooth): Recover the tooth. Holding the tooth by the crown (the part of the tooth that is exposed in the mouth), make sure to rinse off the root of the tooth with water if it is dirty. Make sure not to scrub the tooth. Try to put the tooth back into place facing the right way, if possible. If it is not possible, put the tooth in a small container of milk. See a dentist as quickly as possible. Knocked out teeth with the highest chances of being saved are those seen by the dentist and returned to their socket within 1 hour of being knocked out. Extruded (partially dislodged tooth): See a dentist right away. Until you reach your dentist’s office, in order to relieve pain, apply a cold compress to the outside of the mouth or cheek in the affected area. Take an over-the-counter pain reliever if needed. Abscess: Abscesses are infections that occur around the root of a tooth or in the space between the teeth and the gums. Abscesses are a serious condition that can damage tissue and surrounding teeth, with the infection possibly spreading to other parts of the body if left untreated. See a dentist immediately. Toothaches: Never put aspirin or any other painkiller against the gums near the aching tooth because it may burn the gum tissue. See a dentist as soon as possible. 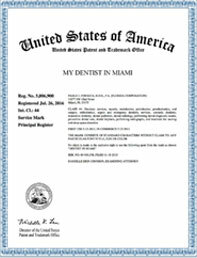 Lost Crown: If the crown falls, make an appointment to see a dentist as soon as possible and bring the crown with you. Chipped or Broken teeth: Save any pieces. See your dentist as soon as possible. 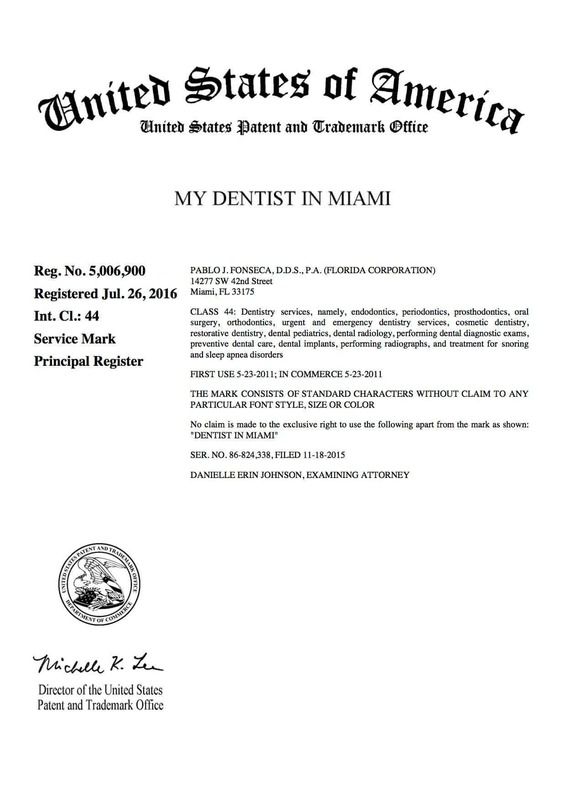 My Dentist in Miami is available around the clock to take care of your dental emergencies.